A unique parent and baby class launches in Lancaster on Friday September 9. 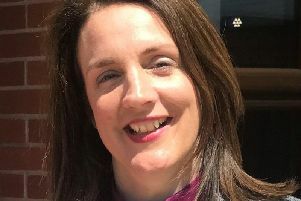 Abi Doughty, who is a babywearing consultant and a director of Morecambe Bay Slings, has switched high school teaching for running a Sling Swing franchise. Sling Swing is a gentle movement to music class for parents/carers and babies in slings. The aim is to have fun in a friendly, musical environment and to really bond with your baby. Lancaster classes will be in the Laura Sandham School of Dance, The Storey, Meeting House Lane, Lancaster, LA1 1TH, on Fridays at 10:15am. Booking is essential. Contact Abi at abidoughty@slingswing.co.uk, or by calling 07946 420895. You do not need to have your own sling or even have used one before as Abi can bring along slings for you to use and fit them for you at the start of the class.